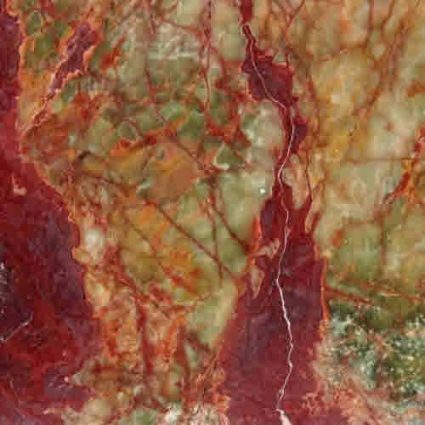 Multi Red Onyx is a dramatic, polished onyx of reds and golds with white and cream fleck accents. This Onyx is recommended for indoor applications, including countertops, backsplashes, Walls and Fireplaces. Recommended for residential and commercial use. As with most Onyx, parts of this stone are semi-translucent and is ideal to back-light and highlight its beauty. Create some drama in your space with this elegant and vibrant Onyx.